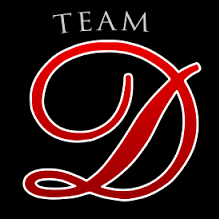 Team D Racing Partnerships offers an investor the opportunity to join a premier horse racing group designed to minimize risk and compete at the highest level. December 28, 2017 February 23, 2018 John dutrowLeave a Comment on Are You A Hard Worker? December 27, 2017 February 23, 2018 John dutrow1 Comment on Placing a Bet is Easy! Placing a Bet is Easy! November 23, 2017 February 23, 2018 John dutrowLeave a Comment on 10 Tips for Betting!